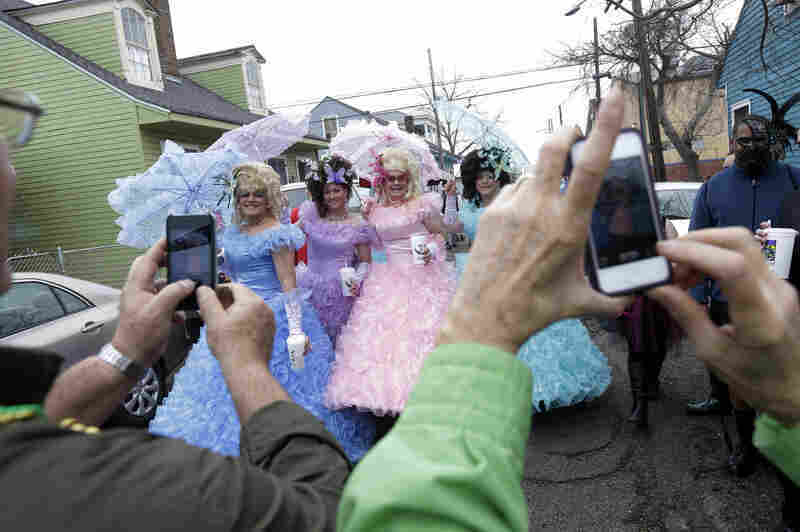 'The Street Parade Of Life:' Mardi Gras Rolls On Despite Rain Threat : The Two-Way In New Orleans today, one thing was made clear: Revelry doesn't stop for dark clouds. 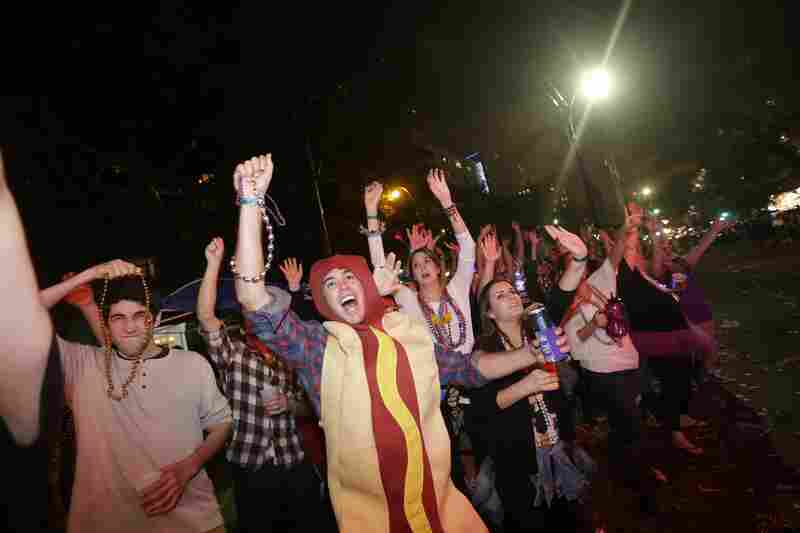 While the crowds were thinner than usual, many thought the weather was perfect for Fat Tuesday. 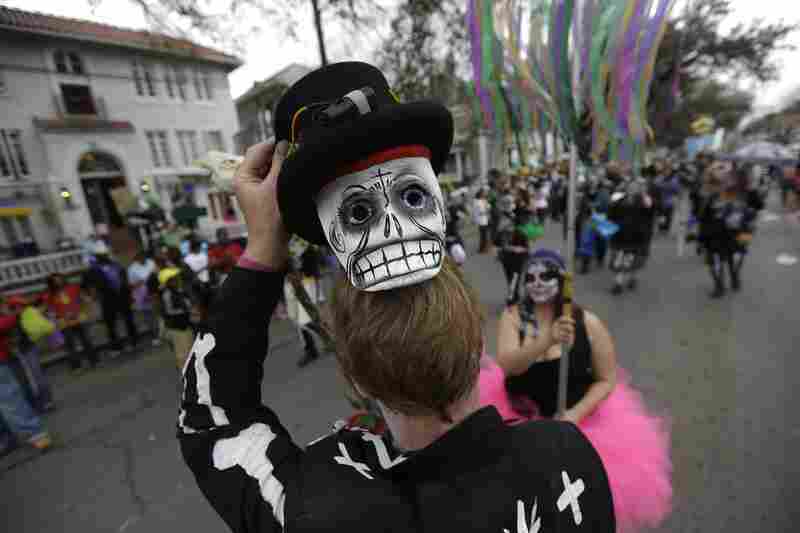 Sunday: A masked reveler in the Krewe of Okeanos parade. Sunday: A float rolling through during the Krewe of Bacchus parade. 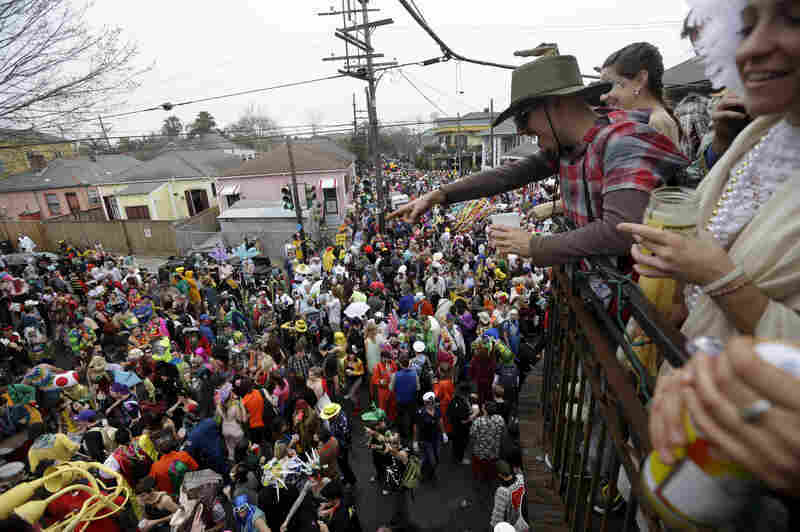 Sunday: Revelers yell for beads and trinkets. 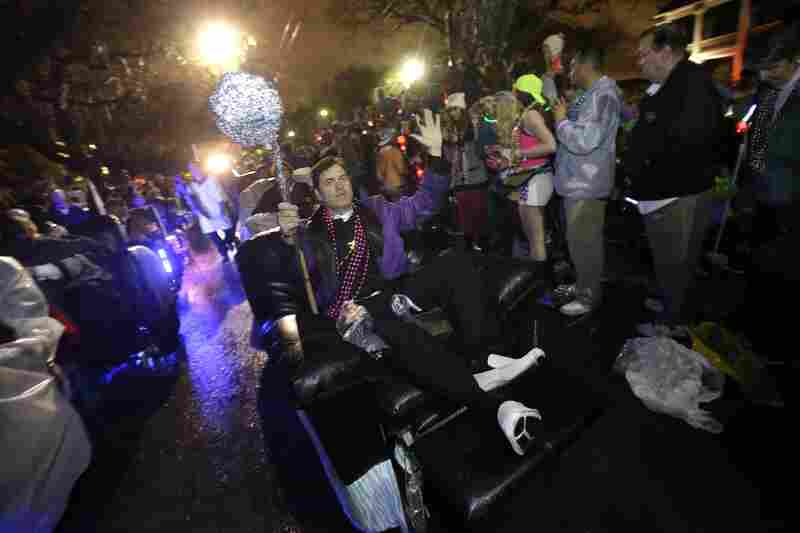 Monday: Members of the Laissez Boys Pleasure Aid & Leisure Club parade during the Krewe of Orpheus parade. 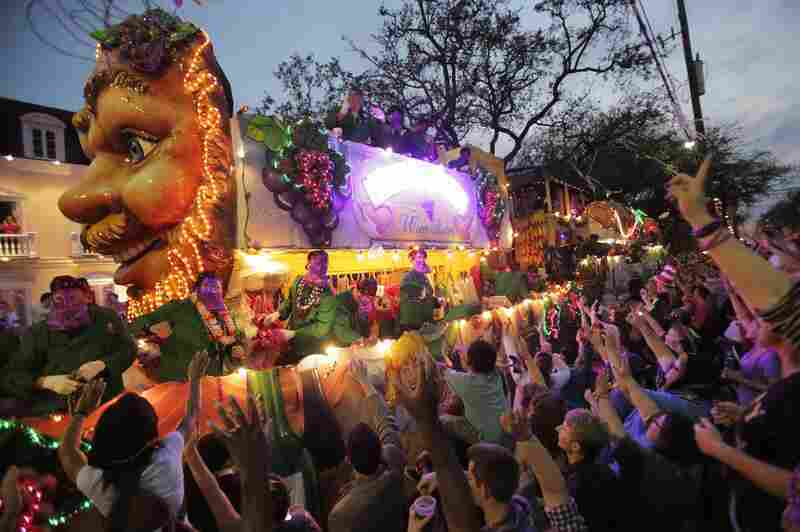 Monday: Floats pass down Napoleon Ave. during the Krewe of Mid-City parade. Tuesday: Revelers gather before the start of the Society of Saint Anne parade. Tuesday: More of the scene at the start of the Society of Saint Anne parade. There was a threat of rain in New Orleans, today. But revelry doesn't stop for dark clouds. "Many people were overheard to bless the overcast skies, cool temperatures — and in many cases, gratitude for the smaller crowds. Because in the French Quarter on Fat Tuesday, it's not about the scheduled street parades like Zulu and Rex. It's all about the street parade of life, the constant passing, changing parade of humanity determined to love life to the fullest, even if just for this one day." The costumed revelry will continue the rest of the day and into the night. 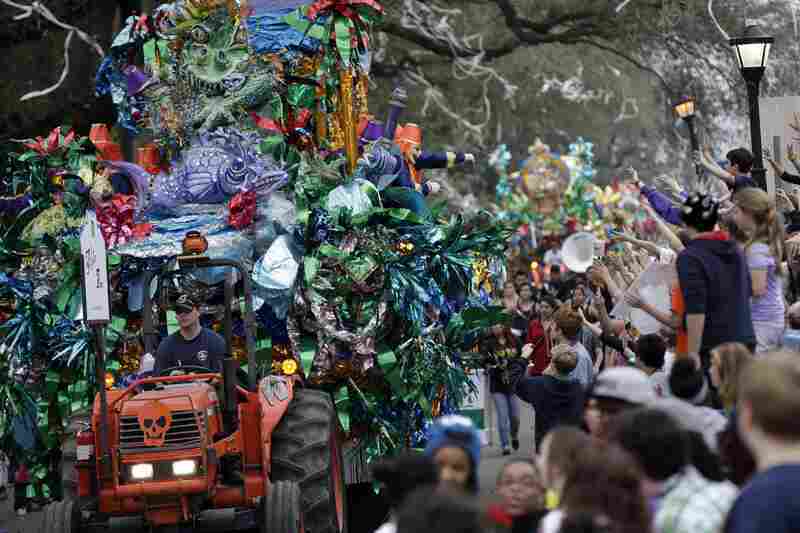 We'll let the pictures tell the story and simply say: Laissez les bons temps rouler!